My hero, Mary Hunt of Debt Proof Living, challenged us to cook only what we will use. It was an effort to stop waste. She decided to make less coffee in the morning. My husband makes the coffee in our home and he always made 8 cups, but we only drank 7 cups. I found the best way to use at last cup. I make an iced coffee to drink in the afternoon. You have to admit, the best cup of coffee is the one you brew for yourself in the morning. It is never too strong, or too weak. It is the same strength that you would want for an iced coffee. Pour the last cup of coffee in a glass, add sugar and stir until it is melted. 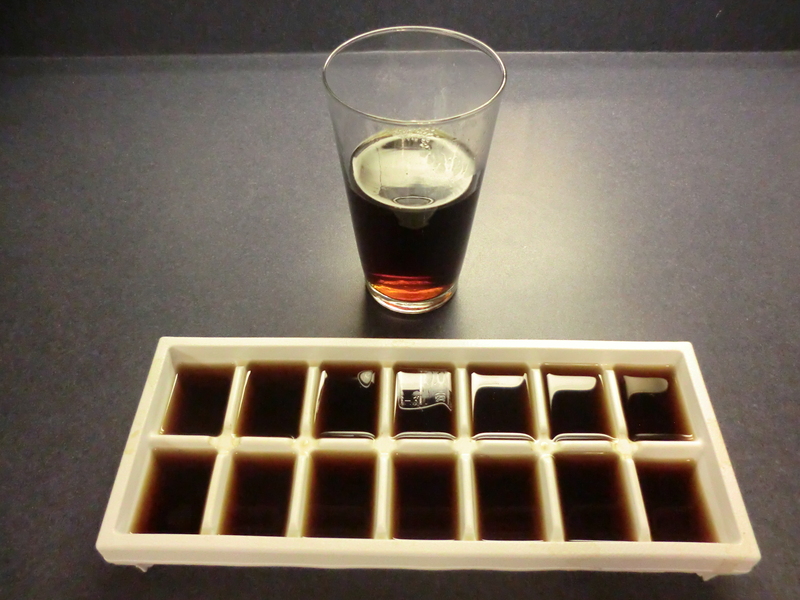 Make a few extra cups of coffee and freeze it in an ice-cube tray. When you are ready for iced coffee, add cream, if desired, and one or two cubes of frozen coffee. Your coffee will not be diluted as the “ice” melts and the strength of the coffee will be perfect…just like your morning coffee. Extra cup of coffee, with melted sugar in it, ready for the refrigerator and extra coffee to be frozen into “coffee ice cubes”. This entry was posted in Accountability, Food, Make It, Money Saving Ideas and tagged Accountability, Food, Make It, Money Saving Ideas by Frugal Fish. Bookmark the permalink.